You'll need a Zapier account and a ClickSend SMS Account. 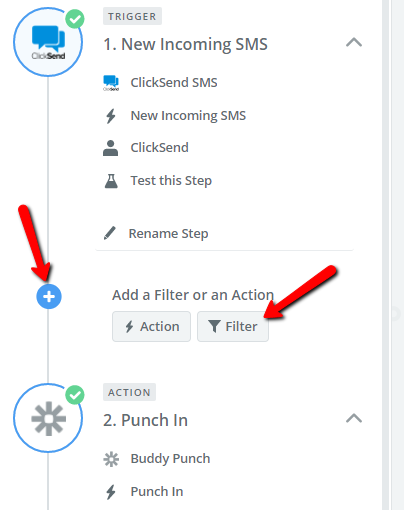 The following instructions will help you setup Buddy Punch, ClickSend SMS, and Zapier to allow you to use text messages to punch in and out. 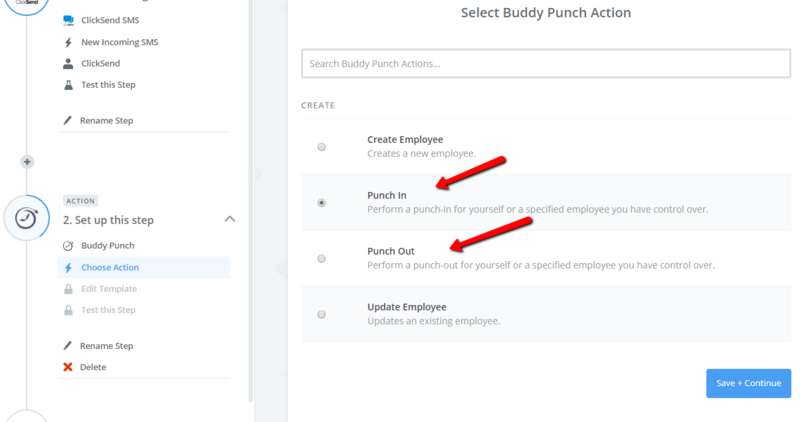 Once you are signed into your Zapier account, you'll need to add Buddy Punch to it. You'll do that by visiting this link, to accept our invite. Sign up for a ClickSend account. Incoming texts are free (texts that your employees will send for punching), however you'll need to pay $3.97 per month (as of 9/2017, prices subject to change) for a phone number to text to. Next you will finish connecting your account and continue - once you do that your trigger is now complete. The next step will be the Zapier Action, which can either be a punch in or a punch out. In our example we'll chose the "Punch in." The next step is to specify an account to connect this with. You can either connect this directly to an employee account, manager account, or an admin account. If it is an admin or manager, you can then punch in other employees. We recommend connecting this with an admin account as it allows for more flexibility in choosing an employee to punch in or out. Zapier will then test your connection and you can now name and use your Zap. However this means that any text coming into your number in ClickSend SMS will punch this employee in. If you want to re-use that same number for all of your employees then you'll need to add in an extra step. Now you can filter on anything, and this is what really makes this Zap flexible. You can set it up so depending what message was entered it would punch the employee in. You could alternatively set it up that it would punch an employee in based on the number that was texting in. By using a filter you can make this Zap specific to an employee or a message, and you can then duplicate this app and then change this filter to apply to a different employee, phone number, or message. You can optionally add in more filters, such as it must come from your employee, the body must contain a certain text message, etc. When finished, click on Test and Continue. Your Zap is now ready to use. Any incoming texts from the number you specified will punch the employee in. Repeat this process for a punch out, or for other employees. 1. A quick way to reuse this Zap to make small tweaks for other Zap's is to copy it. You will need a Zap for each employee, and one for a punch in and another for a punch out. 2. Steps beyond 2 will require a paid Zapier account. If you do have a paid Zapier account you can add in additional steps after the punch in, such as an email or text back to yourself, or to the employee. 3. 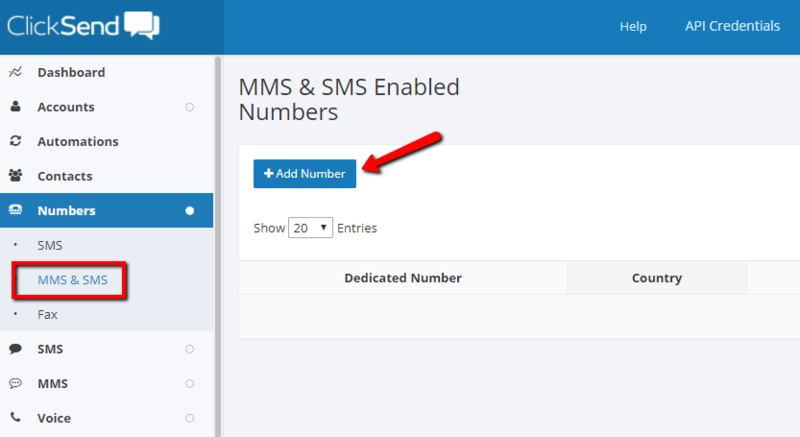 You will not incur any costs from Buddy Punch to use this integration, however both Zapier and ClickSend SMS will have monthly costs, depending on what you sign up for.